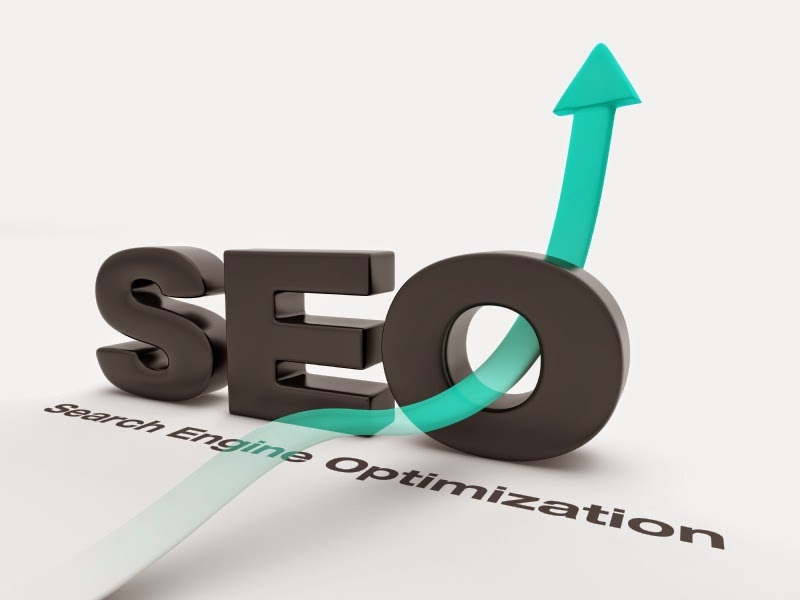 Nowadays, most people know what SEO (search engine optimization) is and how it helps a business successful. There are some strategies that worth spending time to update them. Having a mobile-friendly site impacts your SEO. Recently Google adds a “mobile-friendly” label to mobile search results for better user experience. The mobile-friendly means a user can view the website’s content without to zoom in or horizontally scroll to read. You can see if your website passes Google’s mobile-friendly test. These are some reasons why your website should be mobile-friendly. According to the Moz 2014 Local Search Ranking Factors Survey, one of the top five factors is link signals to the site or the specific page. Create backlinks by having the account in social media like LinkedIn, Google + or Facebook. Try to update your company activities or what you’ve done for community on daily basis in those accounts. When users or your followers see it helpful, they will share your content. Have a high quality and frequently updated blog that is relevant for your audience. Google announced that HTTPS would now become a ranking signal. That means websites use secure, encrypted connections may get a boost in Google rankings. But there are costs to enable HTTPS for your website. However, Google said “For now it's only a very lightweight signal.” But they may decide to strengthen it over time. For an informational website that doesn't handle any customer data, at this point there's probably not enough SEO value to make the switch. In the end SEO is an ongoing process, however keep updating your SEO strategies will help your website success for many years to come. Color increases brand recognition by 80%, and 85% of shoppers place color as a primary reason for why they buy a particular product, according to a infographic from KISSmetircs. It is essential to choose a color or a combination of colors for your brand. 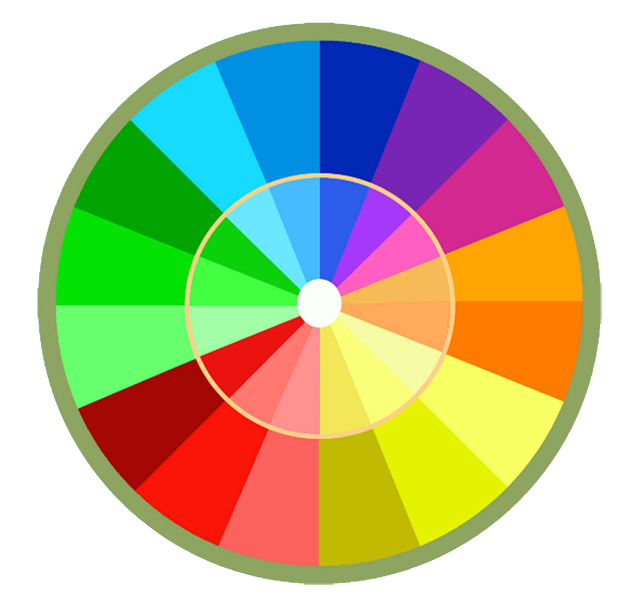 Choose a color that best describes your brand’s personality. Brand’s personality is like human’s personality. Choose colors that represent your brand’s personality; your brand is strong, sophisticated and mysterious; adventurous, optimistic and self-confident; or idealistic, creative and inspiring. Know the impact of colors to consumers. The research shows colors have a significant impact on the logo and the brand. The study revealed that blue logos invoked feelings of confidence, success and reliability; green logos invoked perceptions of environmental friendliness, toughness, durability, masculinity and sustainability; purple logos invoked femininity, glamor and charm; pink logos gave the perception of youth, imagination and fashionable; yellow logos invoked perceptions of fun and modernity; and red logos brought feelings of expertise and self-assurance. For example, blue is the most preferred color across cultures. Red is the color of happiness and celebration in China, often seen red is being used in New Year or wedding. Black associates with death in Thailand. 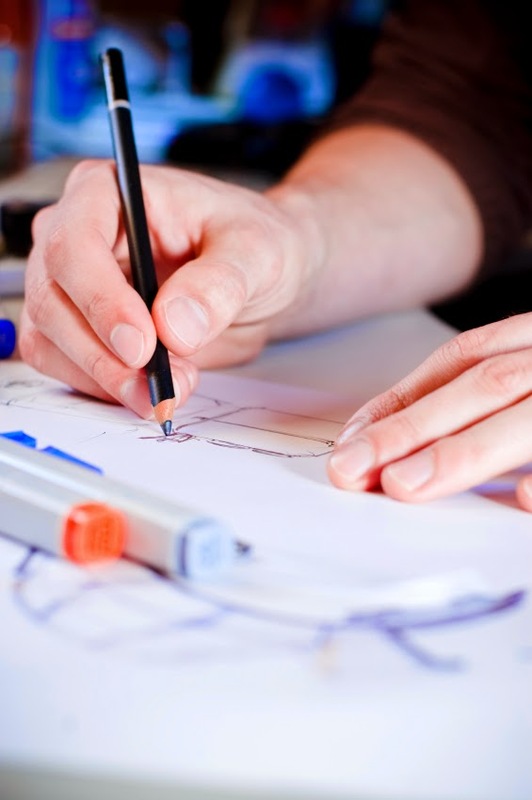 Here are some reasons how the design affects your business. According to Stanford University, the study shows 46% of people judge the credibility of a business based on the design. It's not enough that you just have a website but you must have a professional-looking design. 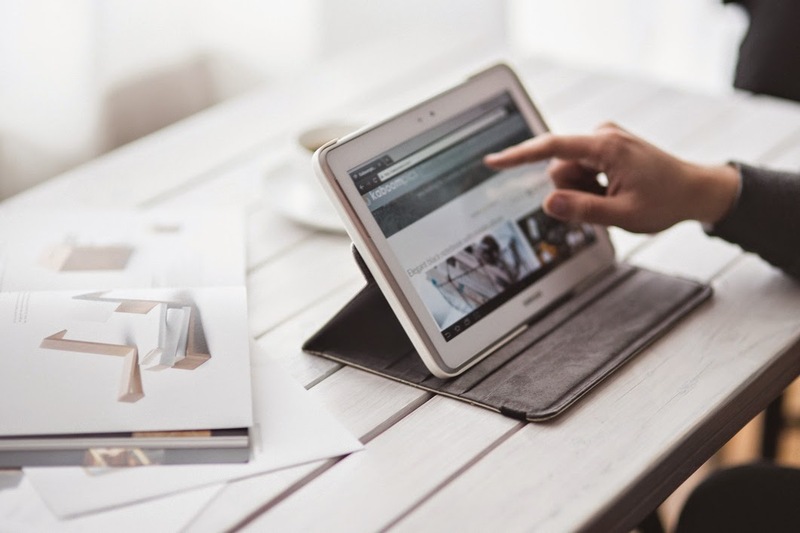 Since many people now search for information online before making a purchase, your site may be the first chance to make a good impression to potential customers. Why does responsive design matter? A responsive website is designed to fit any size of screen when someone is using to view your website (desktop, tablet, smart phone, etc.). Here why responsive design matters to your business. The number of smartphones globally used will reach 2 billion in 2015. The number of smartphone users is growing each year. If your website is not responsive, you risk losing a big number of visitors to your site. Google released the mobile friendly update on April 21st. The update will potentially give a ranking boost to mobile-friendly pages in Google’s mobile search results. Responsive design provides the better user experience for each device. The better your website pleases visitors; most likely they will come back again. 40% of people abandon a website that takes more than 3 seconds to load. Once visitors find you on search results, they click your website. You have only 3 seconds to have your webpage load, if not you have very high chance to lose potential customers. If your website do good jobs for all of above reasons, but you don’t have good content. That will be huge impact to your website. Write for fast reading. People tend to be in research mode when they are reading online; use one concept per paragraph, make sure the key idea is at the beginning, and remove redundant words. Have content that relevant to your business. Provide useful information and images that visitors expected. Your website is part of your business. You may use it as one of your marketing tools and with some other reasons. It should give you the best results to your business. Logo design is not just creating an identity or brand, but it needs to be scalable, memorable, versatile, and appropriate. Some rules that I always stick with when designing a logo. A simple logo makes it easier to recognize and remember than the complex one. The other reason is the more shapes being used the harder to keep them clear in small size. Your logo should be unique and stand out from the others in your field. I usually try to avoid the overly used symbol. For example, how many logos incorporate with Alaska flag that represent business logo in Alaska? Because you do business in Alaska, it doesn’t need to have Alaska flag in your logo. “A logo doesn’t need to say what a company does” David Airey, he writes on the popular logo design site Logo Design Love. A good logo should look good in black and white as well as color. It should stay effective when print on different kind of mediums. Your logo must be relevant to your target audience. A logo is designed for a lawyer should look and feel professional and conservative, which is opposite feeling with a child day care logo. 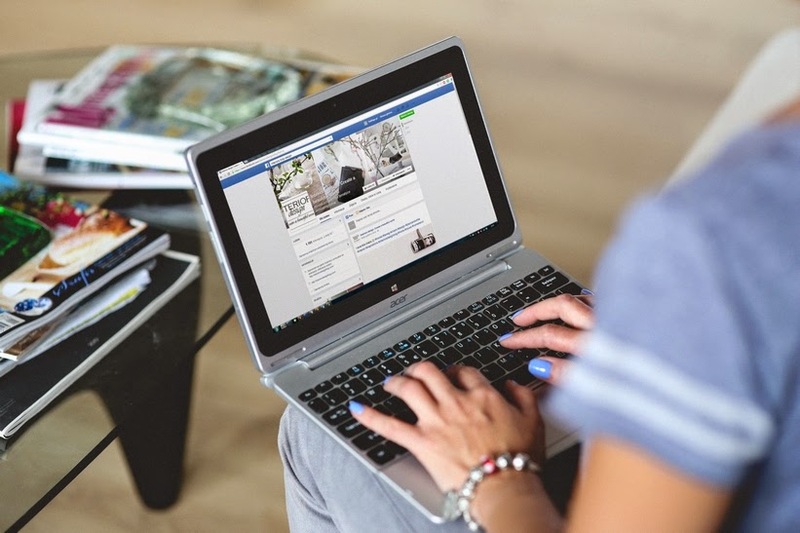 You want your website engage new customers, but these mistakes could drive them away. There are some websites like Real Estate Listings; register users only will be able to see their properties. Asking users to register right away can just drive them to your competitors. This is unexpected. Music on websites is not a good idea. If you need music on your site have a link to turn it ON/OFF as an option. The same applies to video. Disable auto play on your videos, have users control what they want. Take a look at your website. Does it look old and outdate compared to your competitors? Does it look good on all devices? If not, maybe it’s time for a website redesign. If your website offers a free tool kit but already expired last year. That’s not a good sign for your potentials and repeat customers, they probably won’t come back. Make it easy to find what you do and what you offer. Ensure users can contact you if they need more information or problems. It’s a good idea to have phone number and email address in the footer on all pages. Make sure you main products or services are easy to find in 5-10 seconds after your users arrive. Users are not going to click through several pages to get to the information they want. If your navigation is confusing, users will leave your website. And that will affect your bouncing rate higher also. Large blocks of text that are difficult to read. You can portion into small chunks and surround it with white space. If you’d like your users to read easily on your web pages, avoid black background with light color text or text is too small. KISSmetrics shows 47% of consumers expect a web page to load in 2 seconds or less. If your web pages take more than a couple of seconds to load, most likely users will go to your competitors’ website. The practice of running annoying ads can cost more money than it earns, as people are more likely to abandon sites on which they are present. In addition, in the presence of annoying ads, people were less accurate in remembering what they had read. The key to have an engaging website is to provide users with an excellent experience. If you think your website may have one or more of these mistakes that drive users away. It may be time to update your site to be better. 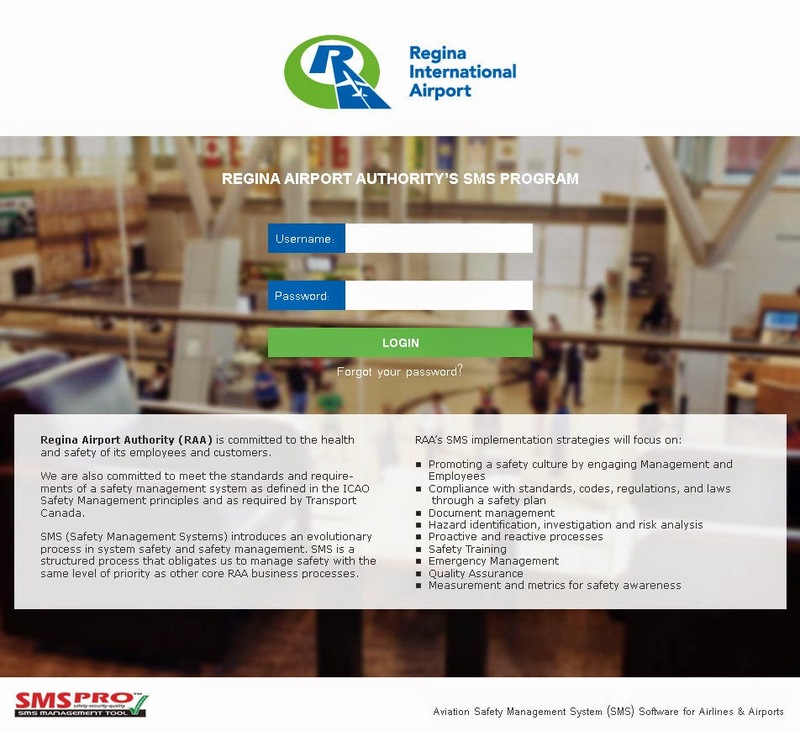 Regina Airport Authority is a non-profit corporation which operates Regina International Airport under a 60-year lease from Transport Canada. 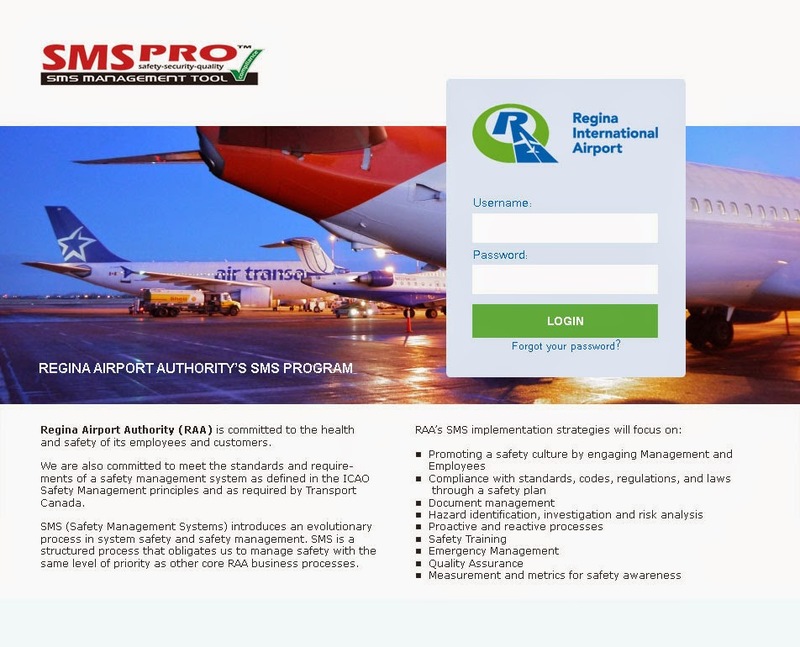 Their mission is to manage and operate their airport in a safe, secure, efficient, commercially viable and environmentally responsible manner. Screen shot of existing log in page. I’d like to have the login page looks similar to their current website. So I took one image and incorporated it to my new design. In order to turn it to the nice background image, I made it blur with Photoshop Gaussian Blur. And I decided to center all elements. Then added color to username, password, and login boxes with their logo color scheme. The rest of the content, I wrapped with slightly transparent white background. Screen shot of first design. The second design, I used the image from current login page. But half of this image had very bright light. It could draw users’ eyes to it so I decided to cover with login form. It turned out great since the bright part helped to draw attention to the form. 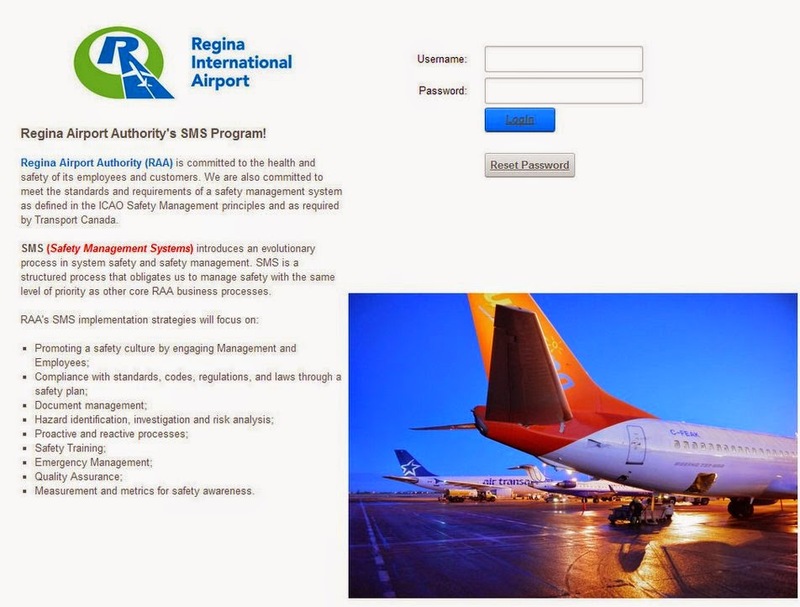 Besides that, I relocated “REGINA AIRPORT AUTHORITY’S SMS PROGRAM” to the left side which pointed to the form. The rest of the content left on white background made it easy to read. Screen shot of second design. Both designs are looking good now. We will have our client make decision which one should be their new login page. A logo is one of the most important aspects of your business. It is not just making a good first impression. But it represents your business on every medium like your website, business cards, letterheads and etc. If done well, a logo can boost sales and recognition. Here are some of the reasons you may need a new logo. If your logo created by someone who doesn’t know about logo design. Your logo may use clip art or created with raster graphic like photoshop. And you don’t have other formats beside jpg or png, so you should consider having a new logo. A good logo should be created by a vector-based like illustrator, which allows for reproduction in all media and all sizes. 2. Is your logo readable in all sizes? When a logo tries to add too many details, it becomes fuzzy and unreadable in a small size. A logo should be simple and easy to read in all sizes. Your logo should work well for both prints and online uses. It should be effective in black and white as well as full color. 4. Does your logo feel clichéd or overused? You want your logo to be unique and memorable. Do not use fonts or elements that overuse. A clichéd or generic logo won’t make your logo stand out from the others. Businesses evolve over time, your brand and logo should reflect that. It may be time for a new look of your growing company.